We returned exactly one year later to Scottish National Gallery, in Edinburgh, with the theme of another nineteenth century painting. In this case it was the The Monarch of the Glen, an iconic painting of the Scottish Wilderness. We were also visualising the conversation live on the day. 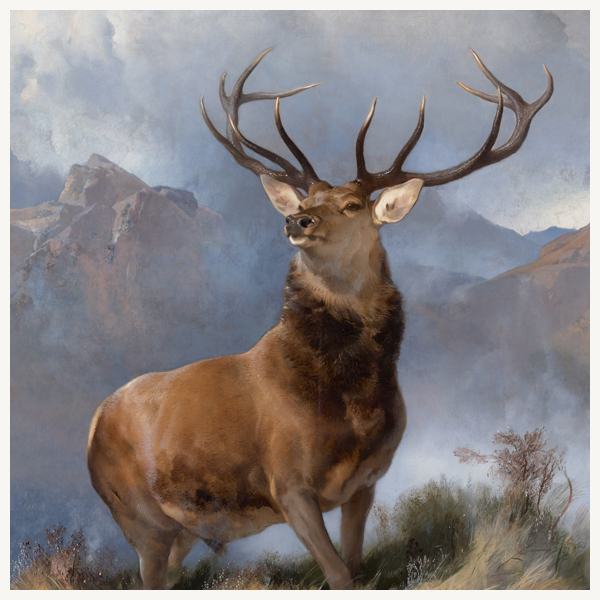 The Monarch of the Glen was painted by Sir Edwin Landseer in 1851 and is currently on display at Scottish National Gallery.